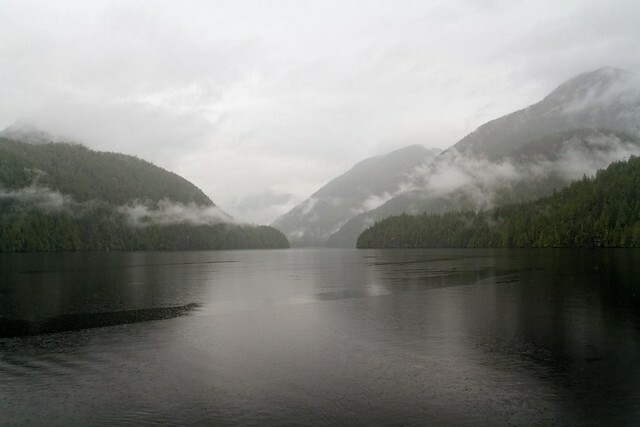 In late May, he spent a day on board the Tully as it explored the low-oxygen waters of Effingham Inlet, a narrow fjord in Pacific Rim National Park Reserve. Bob chronicled his visit as part of Quirks & Quarks' final episode before their summer break, a special podcast-only show which aired in late June. Ocean Networks Canada would like to thank Bob McDonald, the Quirks & Quarks team and CBC Radio for sharing a day in the life of “Canada’s unique laboratory under the sea” while on expedition in the Northeast Pacific Ocean. Visit the Q&Q site to listen to the episode: Part 4 runs 13 minutes. The Tully Daily Cruise log (May 18) includes Bob’s visit. Did you know? Bamfield is also home of the Bamfield Marine Sciences Centre.